Here is your entry into the Magswitch Workholding System of woodworking tools. 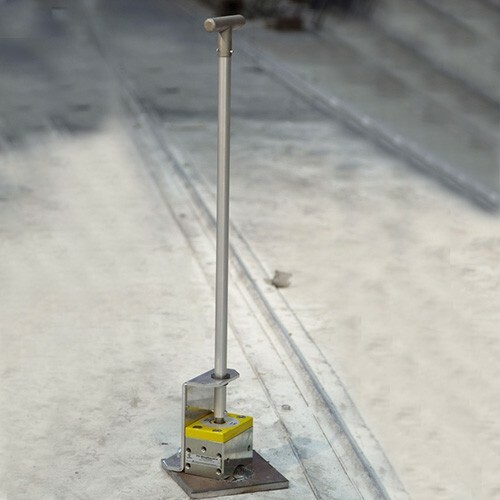 Features award winning “Top Tool” Magswitch on off magnets. The next attachment you must get is the Vertical Featherboard Attachment which works in tandem with the Reversible Featherboard for dual plane workholding and added safety against kickbacks. This flexible system is based around the incredibly powerful Magswitch on/off magnetic Jigs and gives you all the workholding tools you need for all your table tools. Magswitch Resaw Guide Attachment is perfect for use when sawing lumber into thin boards with rotary or band saw. Attaches to the Universal Base (required, sold separately) and featuring roller bearing support for firm yet smooth gliding of wood through a blade. 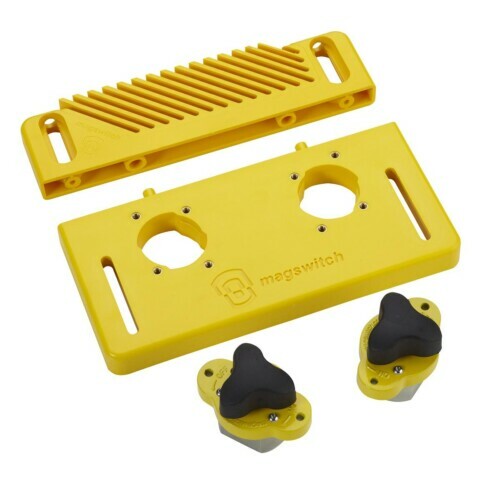 The Magswitch Dual Roller Guide Attachment is for use with the Magswitch Workholding System and mounts to the Universal Base and Mag Jigs (required, sold separately). It features a dual set of roller bearing supports for firm yet smooth gliding of wood through a blade. It also includes a micro adjustment for fine tuning to 90 degrees and is ideal for re-sawing on band saws. The Ultimate Thin Stock Jig/Rip Guide Attachment is for use with the Magswitch Workholding System. No other tool like it in the industry! Three tools in one! Mounts to the Universal Base and Mag Jigs (required, each sold separately). 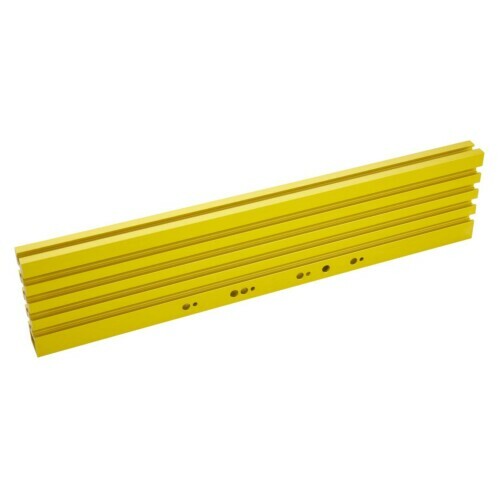 One side features a stepped edge for the most common sizes of 1/8, 1/4 and 3/8. The opposite side sloped for any size wood up to one inch. The point features a roller bearing and extends forward for accurate repetitive ripping of your thin stock. 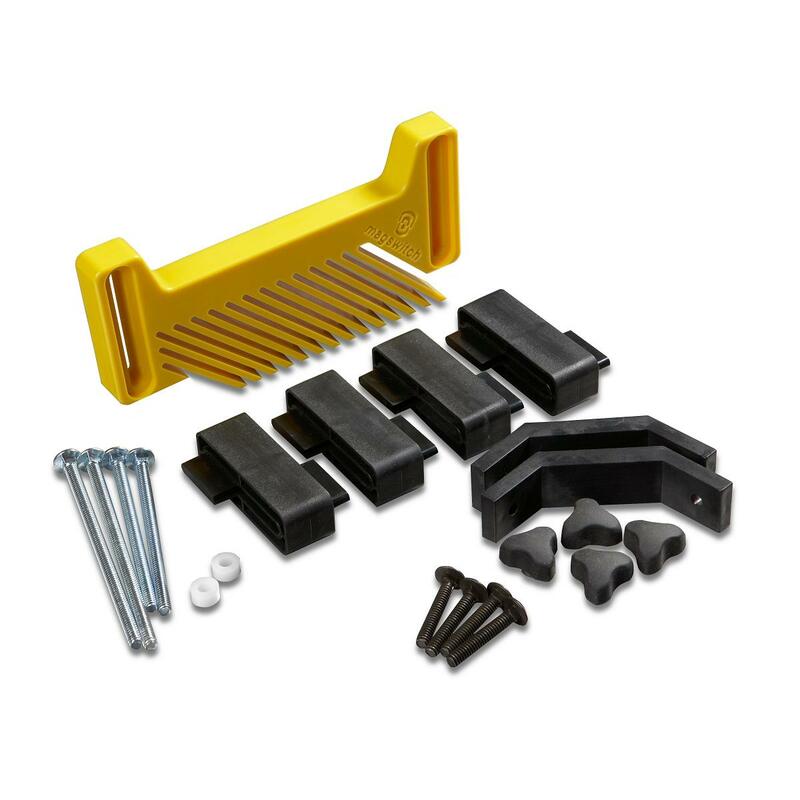 Ideal for thin stock hold down or in/out feed on a table saw.